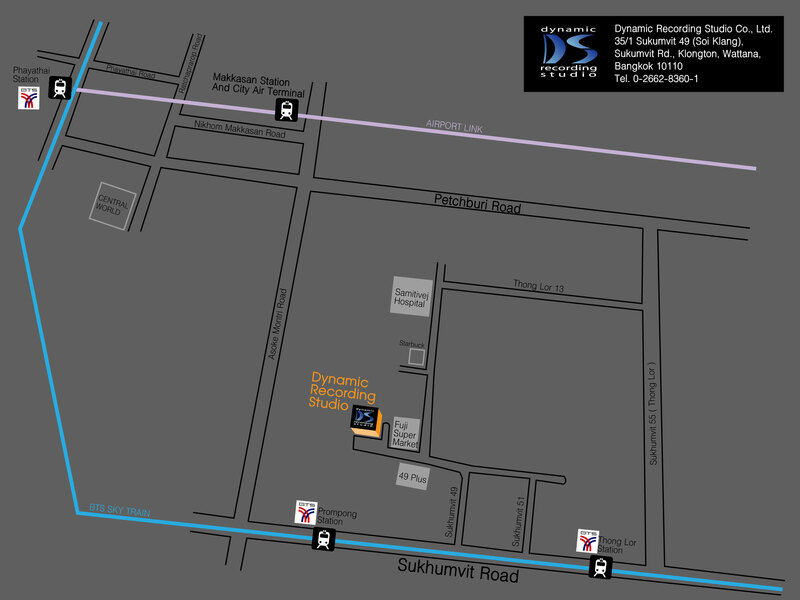 Dynamic Recording Studio Co., Ltd.
35/1 Sukumvit 49 (Soi Klang), Sukumvit Rd. 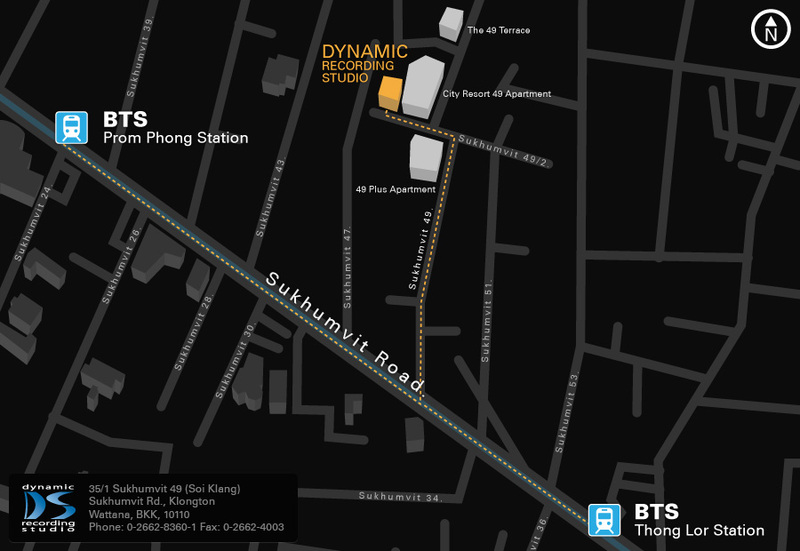 For more Information regarding studio services or if you have any questions feel free to contact us through our website or by telephone. ©2019 Dynamic Recording Studio. All Rights Reserved.